Students First at Unity College! Unity College is committed to putting students first and providing them with many opportunities to ensure they achieve success in whatever career they choose and to enable them to be successful contributors in the community. 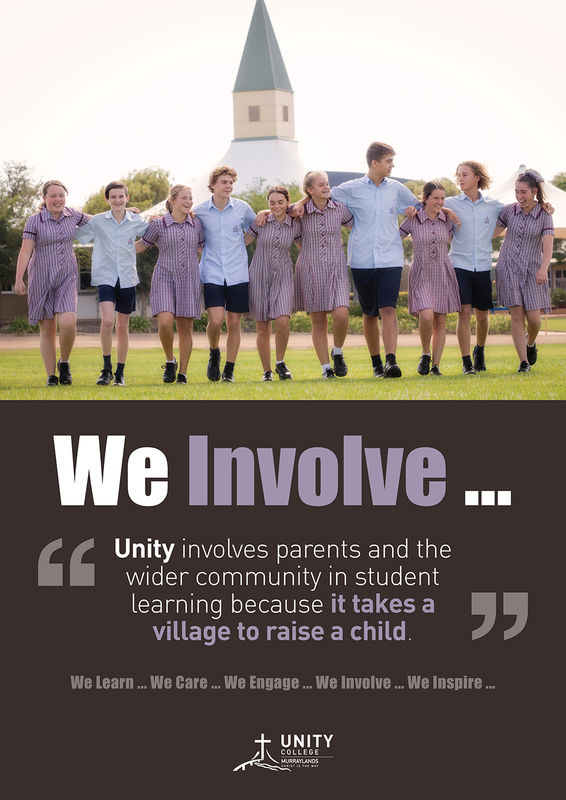 Unity College offers its educational program to families from all areas in the Murraylands region and beyond with an extensive transport network to enable students to travel to the college from areas including Murray Bridge, Mannum, Tailem Bend, Meningie, Coonalpyn, Langhorne Creek, Tintinara, Jervois and Lameroo. Enrolment is still available for 2019. Contact Wayne Gehling at Unity College for a prospectus or to arrange a personal tour! Click here for more information on how to book a tour. Call 8532 0100 or email studentsfirst@unitycollege.sa.edu.au to find out more. We would love to meet with you.